Mississippi State Capitol in Jackson, Mississippi, USA. 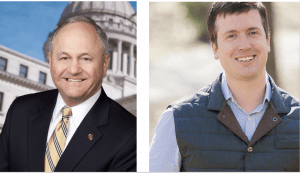 Michael Watson and Sam Britton are facing off to replace Delbert Hosemann as Secretary of State. No Democrat candidates have publicly announced. Watson has disclosed over $343,000 cash-on-hand. 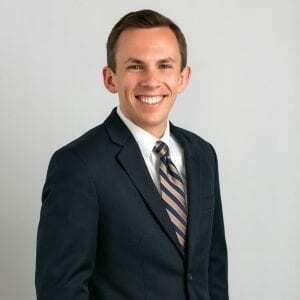 He currently serves as the District 51 representative from Jackson County. Click HERE for the filing report for Michael Watson. Britton is leaving his post as Public Service Commissioner for the Southern District of Mississippi to pursue Secretary of State. Britton has disclosed $260,982 cash-on-hand, with many corporate contributions from Mississippi. Click HERE for the filing report for Sam Britton. Republicans Lynn Fitch and Mark Baker are both running for Attorney General. Current Attorney General Jim Hood is leaving that post to run for Governor. No Democrat candidates have publicly announced. Fitch has reported over $330,000 cash-on-hand for her campaign, overwhelmingly from Mississippians. Fitch is currently the State Treasurer. Click HERE for the filing report for Lynn Fitch. 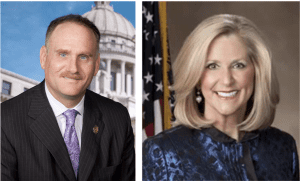 Rep. Mark Baker (left) and State Treasurer Lynn Fitch (right) are running for Attorney General. Baker has disclosed $378,902.93 cash-on-hand. 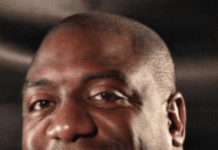 While also garnering support from Mississippi individuals and corporations, several Mississippi-based Political Action Committees have contributed to the Baker campaign; the Mississippi Dental Political Action Committee, the Mississippi Healthcare Political Action Committee, and the Right Direction Political Action Committee just to name a few. Baker is currently the District 74 representative from Rankin county. Click HERE for the filing report for Mark Baker. State Insurance Commissioner and State Fire Marshal Mike Chaney is running for re-election, and his campaign funds have hardly moved. He reported $261,238.98 as of January 1, and no further contributions since then. A donation was made by his campaign to the Junior Champion Sale in Jackson in February 2018. Click HERE for the filing report for Mike Chaney. No Democrat candidates have publicly announced. Shad White is running for election for State Auditor. 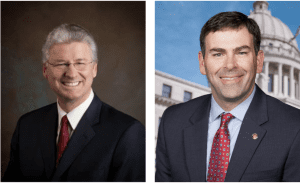 White currently holds the position after being appointed by Governor Phil Bryant to replace Stacey Pickering. White reported $179,462.42 cash-on-hand with contributions being mostly from individuals. Click HERE for the filing report for Shad White. Senator Buck Clarke and David McRae are running for State Treasurer. 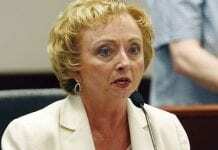 The current State Treasurer, Lynn Fitch, is running to replace Attorney General Jim Hood. Hood is running for Governor. Senator Clarke has disclosed $158,529 cash-on-hand. 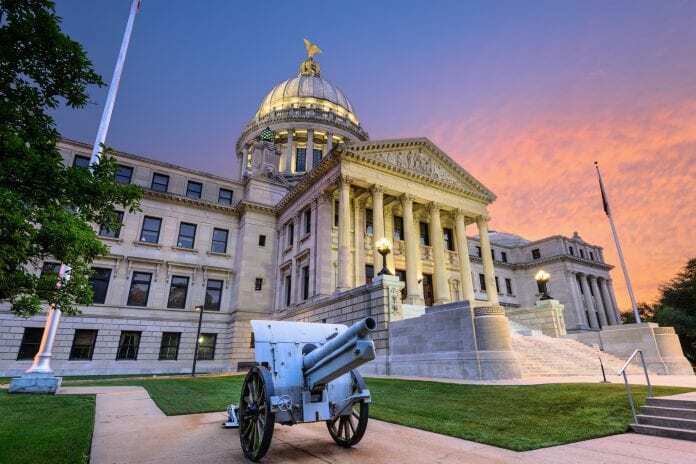 The Senator’s support is Mississippi based, but he has a strong backing of businesses and Political Action Committees; such as the Mississippi Power PAC, Mississippi Realtors PAC, and Wild for Mississippi Outdoors PAC. Clarke is currently serving as Senator for District 22 and is the Senate Appropriations Chair. Click HERE for the filing report for Buck Clarke. Senator Buck Clarke (left) and David McRae (right) are running for State Treasurer. David McRae did not officially qualify until January, so he does not yet have reports to file. McRae has challenged Treasurer Lynn Fitch for this seat before. McRae continues to be involved in the family business, McRae Investments, and is also a licensed attorney. He is active in civic and charitable organizations throughout the community and statewide.